The European Sustainable Tropical Timber Coalition (STTC) saw its membership increase during its recent conference in Rotterdam (The Netherlands), with the host city ending the conference by joining. ‘We aim to be the world’s most sustainable port city and we see joining the STTC as integral to that,’ said Leon Dijk, Sustainable Procurement specialist with Rotterdam City Council. Almost 100 people from across the STTC membership took part in the conference. European Timber Trade Federation Secretary General Andre de Boer told participants that there are early signs that efforts to strengthen the sustainable tropical timber market are paying off, but warned that more needs to be done to make the concept mainstream. He finished by urging companies and organisations to join the STTC. 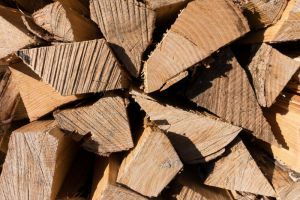 The STTC recently launched a €2 million funding campaign to help local authorities and businesses to implement sustainable timber procurement policies. The Netherlands has been particularly active in promoting sustainable tropical timber, backing the STTC and implementing a procurement system that has seen a rise in sustainable timber market share from 13.4 percent to 74 percent. The so-called ‘Green Deal’ between the public and private sectors aims to boost sustainable timber’s market share further. In addition to plenary sessions, the conference featured lively workshops that looked at designing sustainable procurement policies and financial instruments for driving sustainable timber markets. By stimulating demand for sustainable tropical timber, European authorities can prevent deforestation and provide a livelihood for millions of people in developing countries. For more information on joining the STTC, contact mark.vanbenthem@probos.nl.